Against the ominous backdrop of the influenza epidemic of 1918, Annie, a new girl at school, is claimed as best friend by Elsie, a classmate who is a tattletale, a liar, and a thief. Soon Annie makes other friends and finds herself joining them in teasing and tormenting Elsie. Elsie dies from influenza, but then she returns to reclaim Annie's friendship and punish all the girls who bullied her. 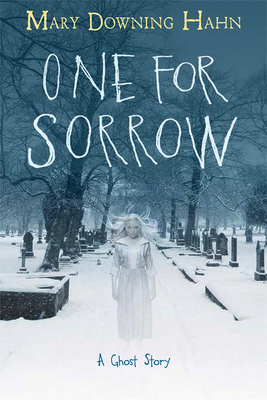 Young readers who revel in spooky stories will relish this chilling tale of a girl haunted by a vengeful ghost. Mary Downing Hahn, a former children’s librarian, is the award-winning author of many popular ghost stories. Her work has won more than fifty child-voted state awards. An avid reader, traveler, and all-around arts lover, Ms. Hahn lives in Columbia, Maryland. Visit her online at www.marydowninghahnbooks.com.